Children from Boston West Academy were in “The Potting Shed” at Central Park on Wednesday learning how to grow using less water in the garden. 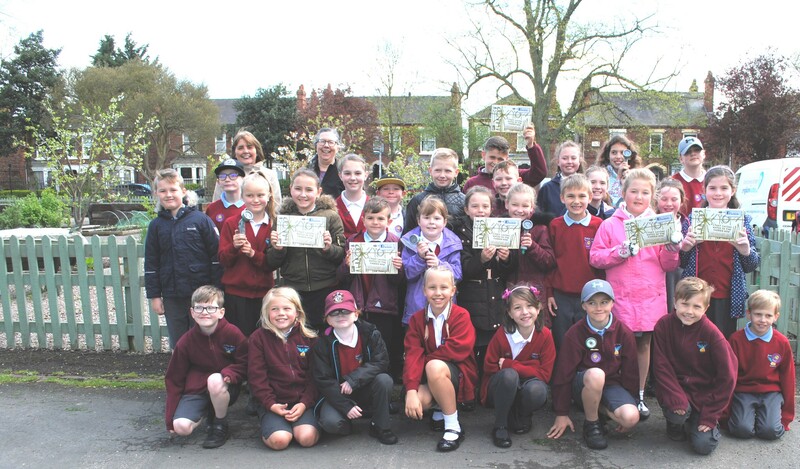 The event was held by Anglian Water and Lincolnshire Community and Voluntary Service (LCVS) to mark National Gardening Week (April 13 to 19) and the children joined The Potting Shed Club for a visit to the community garden. The Potting Shed Club is an online resource in partnership with the Royal Horticultural Society to help customers create beautiful and water-efficient gardens. The children enjoyed potting up seeds to take away and grow on and heard how they could encourage wildlife, such as birds, into their own gardens, and make their own compost. They heard how they could grow a water-saving garden in one of the driest areas of the country. Children received hose guns and water-saving gardening kits which included a ground moisture indicator, a water mat to help keep plants watered for a week, water-storing granules to help reduce watering, a packet of lavender seeds, a guide to drought-tolerant plants and a water-saving guide. Customers joining Anglian Water’s Potting Shed Club can get their hands on one of the water-saving garden packs. You can also join via Facebook @thepottingshedclub get your water-saving kit and pick up ideas and tips from other gardeners.